I can't imagine being Kilee. After a tragedy leaves her with nearly half of her skin burned she somehow manages to survive. 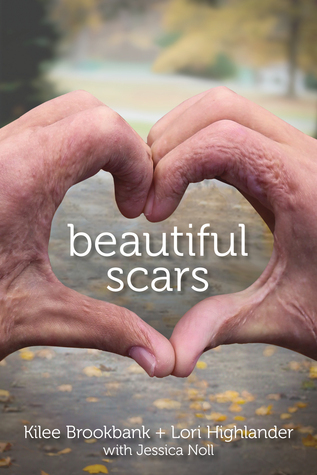 Undergoing skin grafts and physical therapy helps her, but she must work through the pain. I never thought about the simple things I do with my hands or feet that became significantly more difficult for Kilee. Kilee doesn't sugarcoat anything for the readers or try to tell them that it will be perfectly OK. She relies on the support of family and friends to help her through this immensely difficult time. I really liked that the story was told from the perspective of Kilee and her mom, Lori. Lori's perspective made me think about the emotions and difficulties moms go through when something happens to their children. I am not a mother (just out of college!) and was a little selfish in not realizing this. I found the book interesting and a worthwhile read as a whole. I learned much more about the aftermath of a burn than my sister or I do in medical school. This book is worth a second look! Whitefern by V.C. Andrews: Promo and Giveaway! Unknown by Wendy Higgins: Promo and Giveaway!